Oh, boy, am I ever glad it’s Thursday. That means two things: Thrifty Thursday and Thankful Thursday, both of which lift my spirits and need right now! I’m also thankful that I was able to swap cars with my mom this morning. My mom has Sirius radio, which is fun. It was especially fun to hear Haim’s “The Wire” on the radio–something that never happens in normal radio. Good way to start the day! Now, this Thrifty Thursday is a shout out to our friend Rene About the Cats, the Beatles fan. I think this is a picture of John Lennon? Maybe? This thing was HUGE. Probably 4″ high and 3″ across. I dig the galaxy behind him. Oh, did I mention it was painted on black velvet? Yes! Truly vintage art. 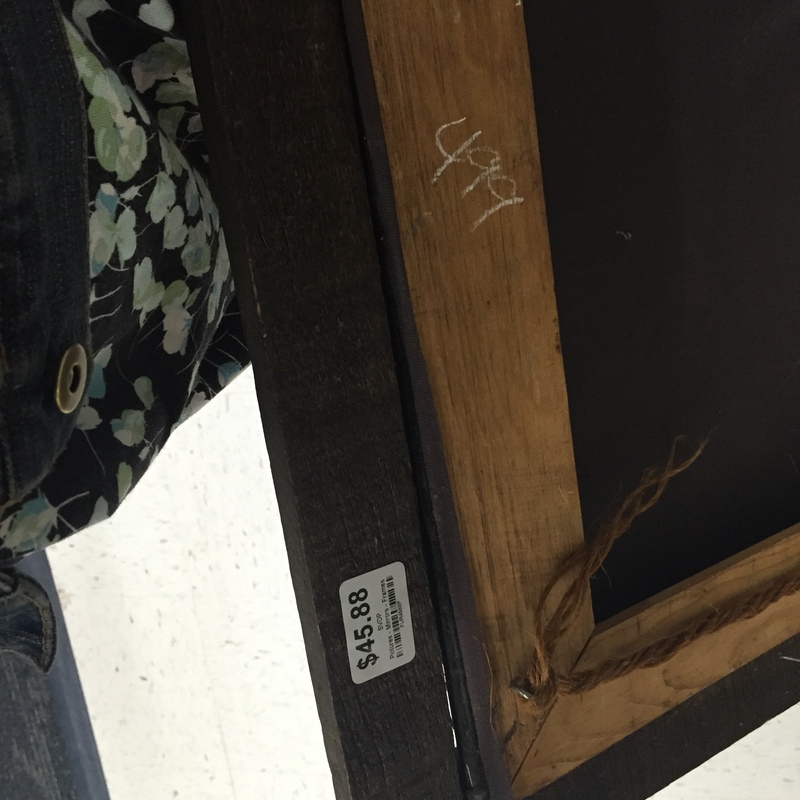 I knew a treasure like this wouldn’t come cheap so I winced as I flipped it over to check out the price. What? Only $4.99! Score! Yep. 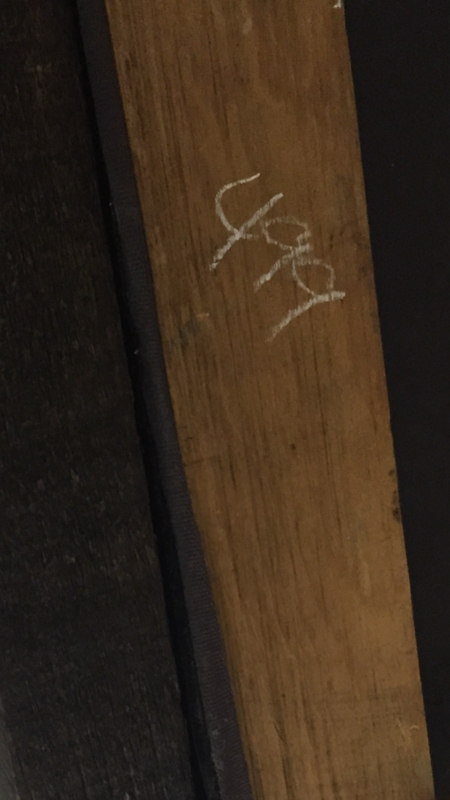 Evidently some other shop (I’m thinking Goodwill–they used to do the wax-pencil pricing like that) didn’t see the true value in this painting and marked it a paltry $4.99. But the staff at St. Vincent de Paul, they knew a top-notch painting when they saw it and marked it up 10x. (Too bad they weren’t clever enough to put the sticker over the original price.) That was a little too rich for my blood, so it was with a heavy heart that I left what I thought of as “John on Velvet with a Groovy Galaxy” at the store for some art aficionado to take home and love. Note:That bit of dress and denim jacket you see in the picture? Both thrifted! Whee! Ouch! Quite a difference in price. You seem to be quite a thrifty shopper. 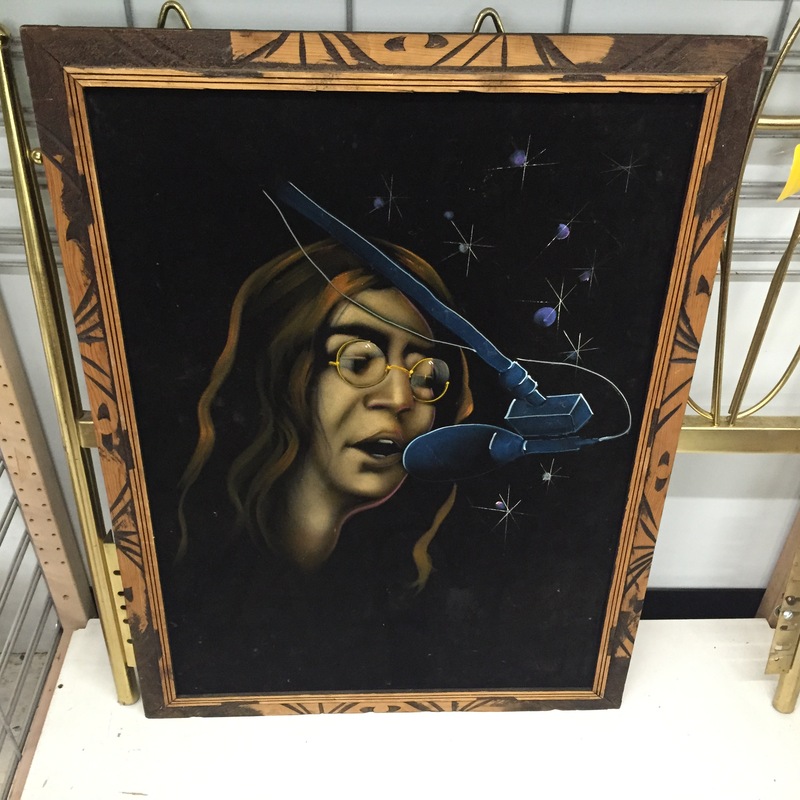 I can’t tell if that’s John Lennon or maybe Janis Joplin? Is that a piano leg next to the galaxy? Boy that is freaky.